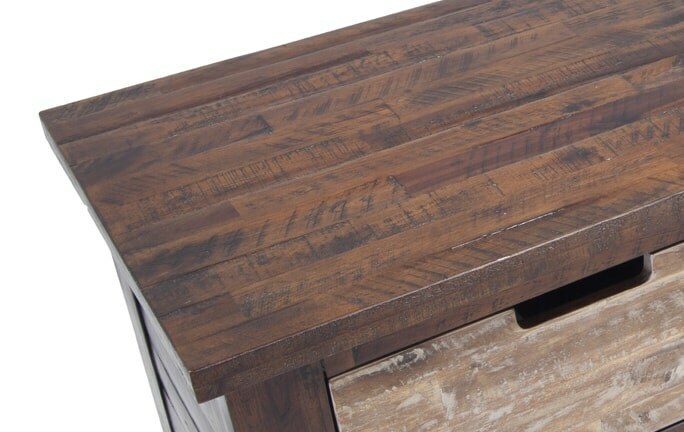 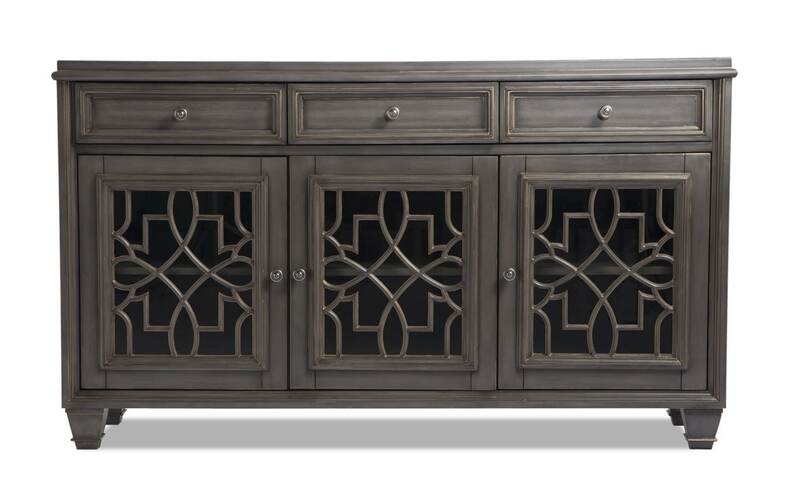 Stunning and useful in more ways than one, my Jules Accent Cabinet is a pleasant surprise! 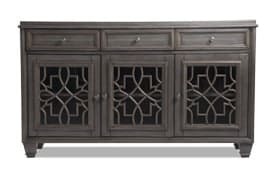 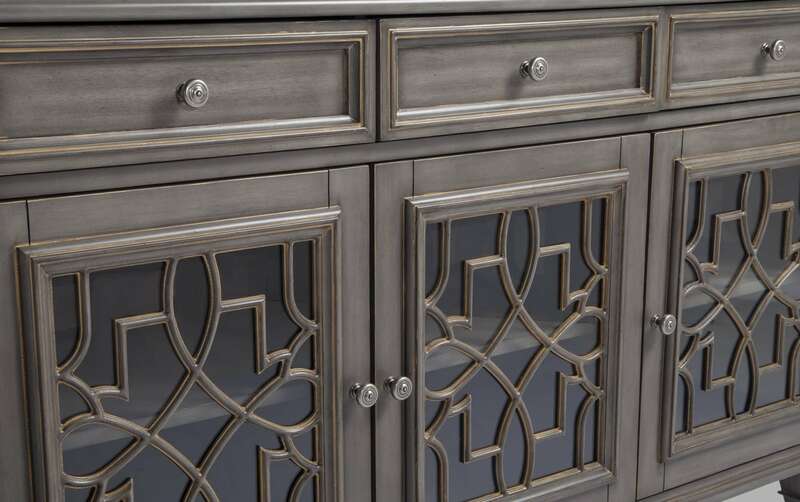 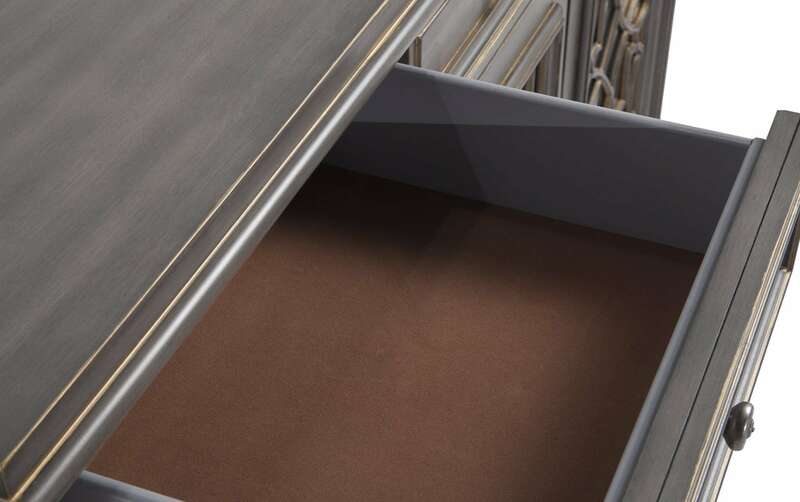 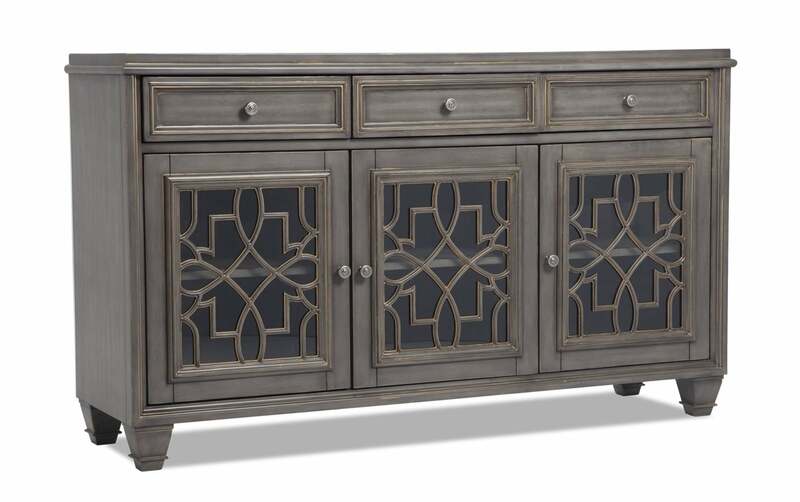 This accent piece with a guilded gray finish features three drawers of valuable storage space, as well as three doors with gorgeous scroll detail that open up to reveal even more storage. 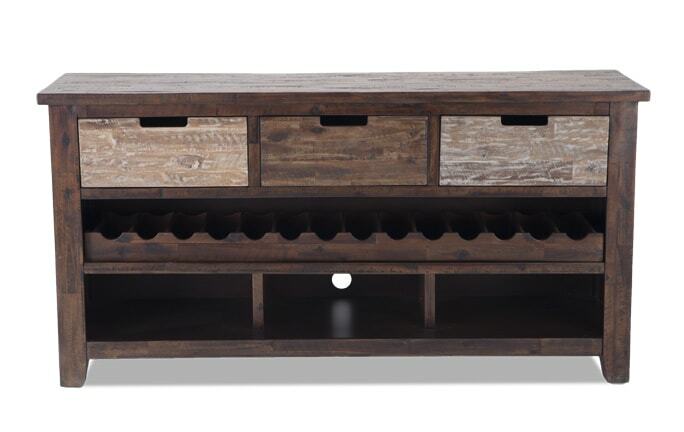 But this isn't just an accent piece- you can also use for entertainment! 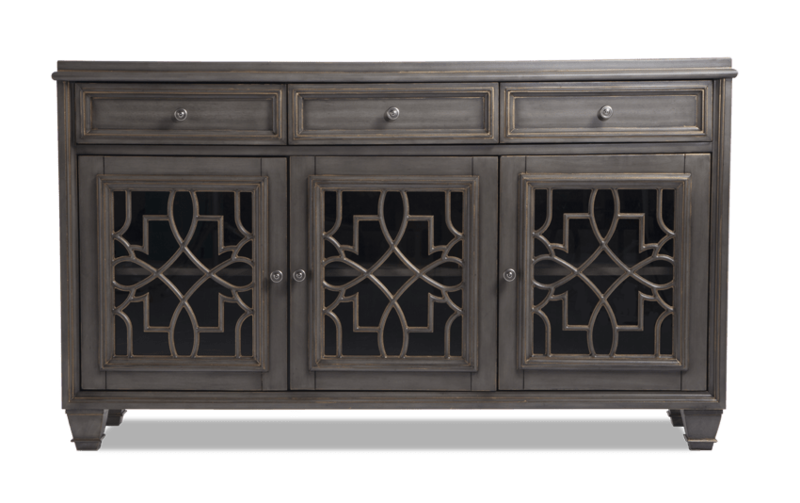 The glass doors along with the space for media components allow you to utilize as a media console or a place to accommodate your TV. 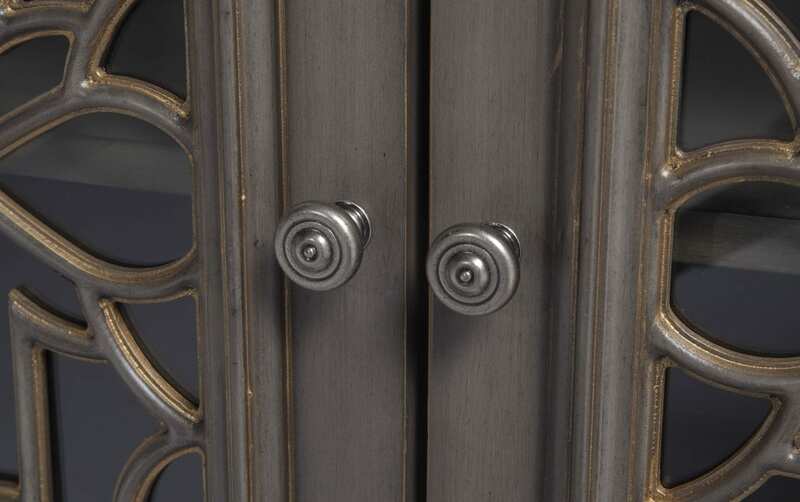 Beautiful AND smart- that's my Jules!